It's official: after months of speculation and rumors, Donald Glover has officially been cast to play a young Lando Calrissian in the upcoming Star Wars Han Solo prequel film. 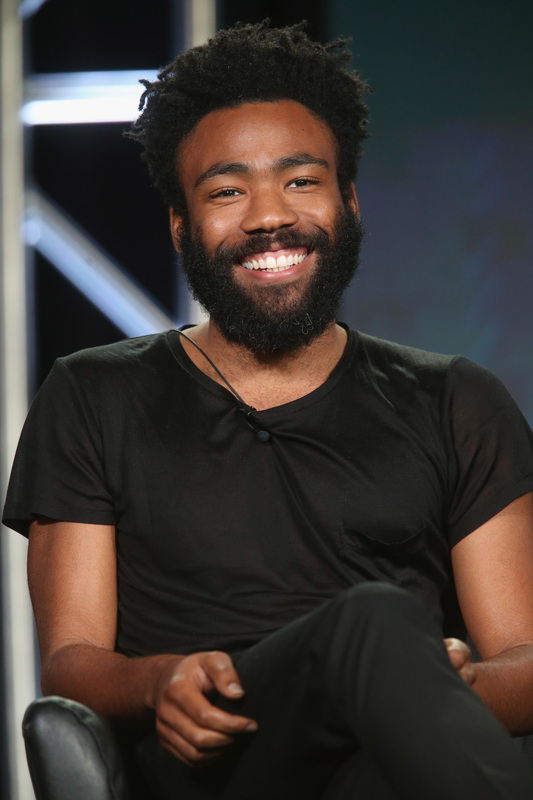 That's right, Childish Gambino himself, and the man currently turning heads on FX's Atlanta , is heading into space alongside Alden Ehrenreich's young Han Solo, to play one of the most iconic Star Wars characters. It shouldn't come as a huge shock to anyone who has been paying attention to the rumors: Glover was rumored to be the first choice for the role in August, and his name has been in the mix ever since. But, now that Glover has officially joined the cast of the Han Solo movie, one has to wonder, is Donald Glover a Star Wars fan? The short answer is, yes, Donald Glover is a huge Star Wars fan. When asked about the rumors of his potential involvement with the franchise, he likened the series to the bible. "I grew up on it. My dad was a big fan. I had all the toys when I was little," he said in an interview with Time . "It's a dynasty. It's like the bible. I love that franchise," he added. A little googling will prove he's not just saying he's a fan for the sake of getting the part — he's even wearing a Star Wars t-shirt in one of his high school yearbook photos! So, yeah, I'd say Glover is a fan of the original franchise. In fact, Glover has been involved in Star Wars-themed projects before. Sure, it wasn't official, but the comedian did voice Mace Windu in Robot Chicken: Star Wars Episode III. Not to mention the frequent Star Wars references he played out while on the show Community. But, in all seriousness, playing Lando Calrissian in the untitled Han Solo film is going to be Glover's first real encounter with the universe. The next few years were already set to be big for Glover. Atlanta is a hit at FX and has earned rave reviews, and he snagged a part in one of Marvel's next big hits, Spider-Man: Homecoming. Now that he's officially playing Lando Calrissian, however, you can bet Glover is only going to become an even bigger star. The Han Solo movie is set for release sometime in 2018, and there's no telling exactly how big or small Glover's role in the film might be. Here's hoping we get out fair share of the new Lando.